Right now there aren’t any federal laws that specifically cover concealed weapons. The laws and regulations are determined state by state and vary greatly between them all. Each state gives different permits and licenses for shotguns, handguns and even other types of handheld weapons like pepper spray and knives. In the state of New York residents can apply for a concealed to carry permit. They must undergo a background check and take a certification course to qualify. The concealed permit granting process is done county by county. The closer a citizen lives to New York City, generally the harder it is for them to get a permit. 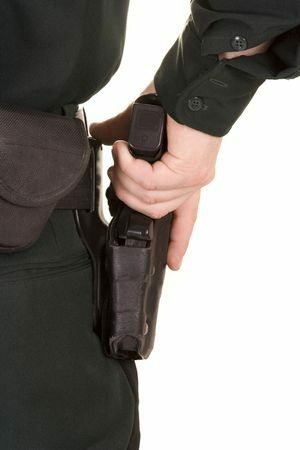 Carrying concealed without a permit is considered a felony in New York State. A concealed weapon permit in Texas will allow you to carry your gun essentially anywhere. The only limits include schools, courts, racetracks and airports. Unlike many other states, concealed weapons can be carried in public places including bars. Texas will also issue a permit to non-residents, which is also rare. For example, only residents of California can obtain a concealed weapon permit there. Out west, a good reason is needed to grant this type of permit even after you have completed a training course and passed a background check. California also requires proof of good moral character. Like New York, permits are given by county, but issued by the county sheriff or police chief. Washington D.C. does not allow concealed weapons at all. One of three areas that have this law, they are currently being sued for amendment violation. 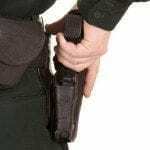 Every single firearms possessed by a resident must be registered and carrying outside of the home or shooting range is prohibited. To register a gun however, you must go through a ballistics test as well as a background check.